I’m wearing patterned trousers. Deep breath. I’m wearing patterned trousers out in public. 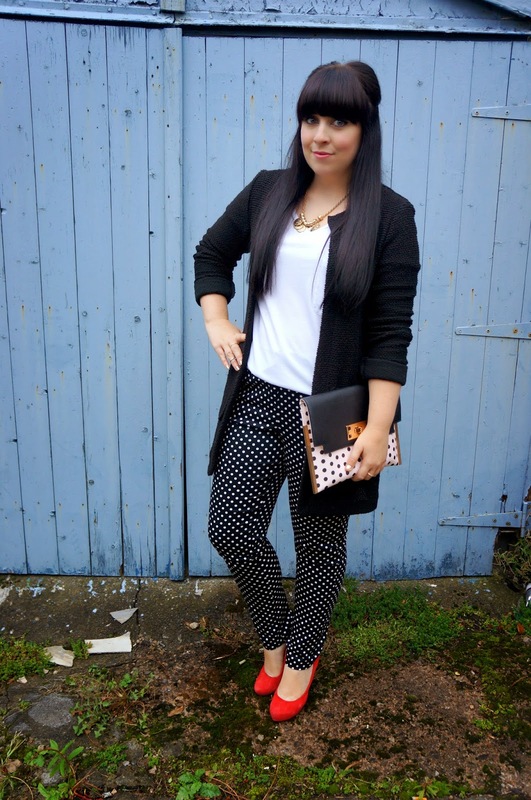 The last time I wore patterned trousers? 1989, Butlins Pwllhelli (later named Starcoast World in 1990). I was five and they were light wash denim with a daisy print, teamed with my yellow Minnie Mouse sweater, I looked the bee’s knees. 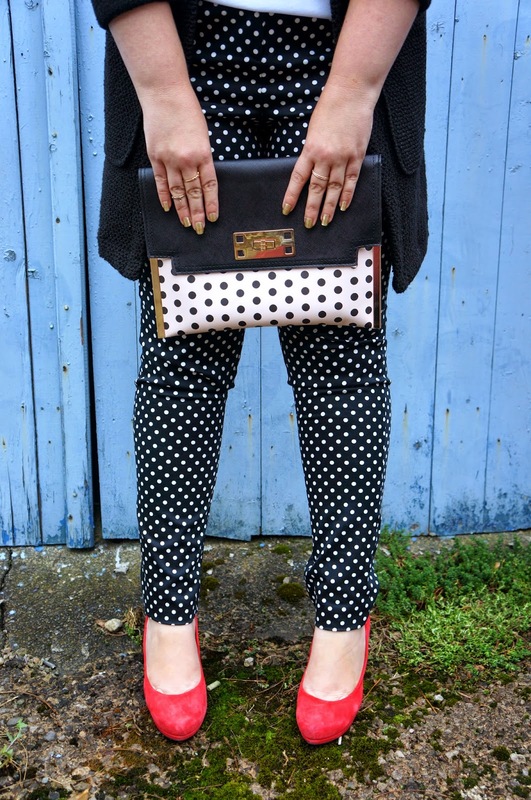 How times have changed twenty-five years on (gulp) now that these monochrome polka dot trousers have entered my life. I’d like to say they were purchased on a whim, but this was pre-meditated. Silently, I slipped into F&F with clear intentions to try these on, my determination rewarded at finding them a perfect fit and reduced to £9. Just like that, my first purchase of autumn was made. Each and every year, August rolls into September and I get the urge to reinvent my personal style and try something new. Recently, I’ve found myself eagerly searching for autumn clothing that will refresh my wardrobe on a budget. 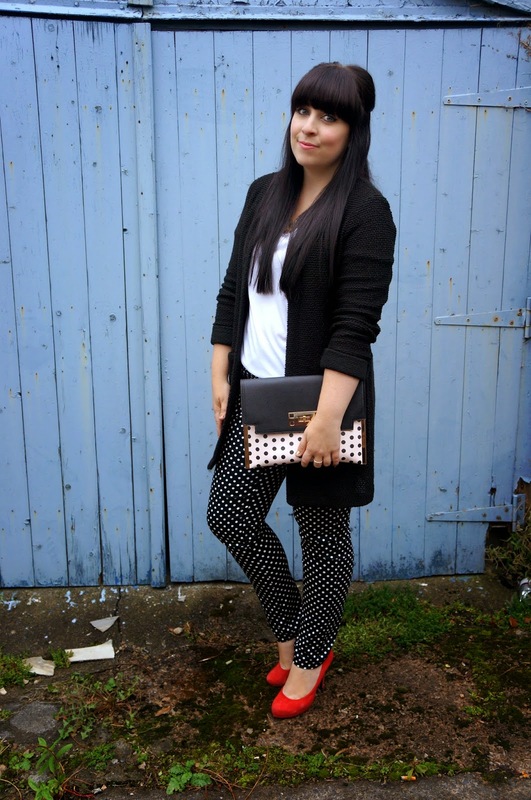 When New Look gifted me with £40 to create a new autumn look for less, I certainly didn’t have to look far. Enter this coatigan. Whilst a duster coat may be a personal style step too far, a coatigan is arguably the perfect piece for transitional dressing and is so easy to wear. Coming in at £24.99, it’s sure to meet a range of budgets. 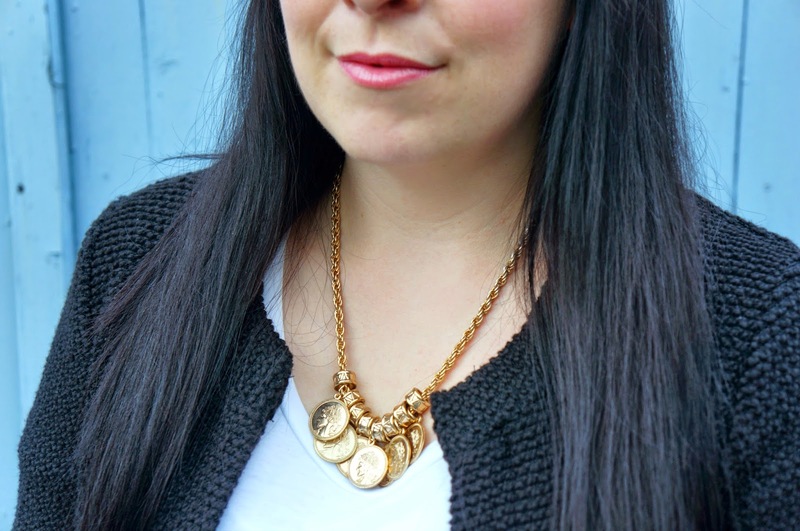 In black, it’s the perfect match anything/throw on piece and will be perfect for layering come winter. 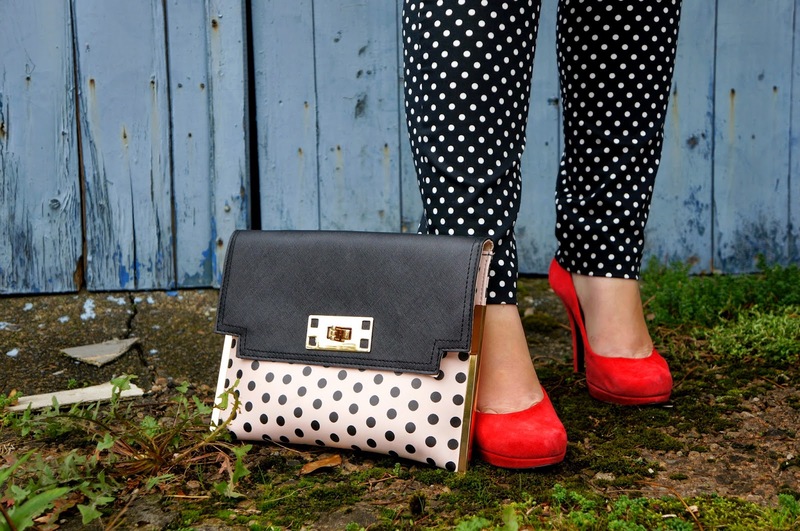 With one safe choice made, that left me free to choose a playful polka dot statement clutch. Listed as white, it was quite a pleasant surprise to discover it was indeed a light shade of pink…which made it just the colour to contrast with red. I’m happy to report that this weekend we finally made it to our favourite restaurant. If you caught my transitional dressing post, you’ll know how disappointed the boy and I were to find it fully booked last weekend. I was indeed all dressed up with nowhere to go. Take two! What are your instant autumn updates? What have you been buying?